Conrad 35″ x 60″ Monotype Press to our studio. ArtSpace’s printmaking studio is a clean, nontoxic printmaking area open to the public to rent for intaglio, relief and monotype printmaking. 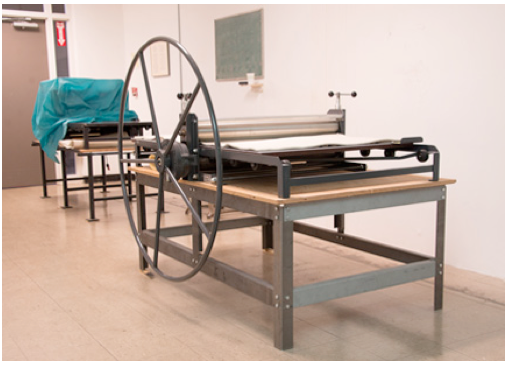 Located at ArtSpace in Maynard, a non-profit art center with 80 dedicated artists, ArtSpace PrintWorks offers very affordable printing press access for all area artists. To visit our facility or to sign up for a printmaking slot, contact us at ArtSpace in Maynard 978-897-9828 or at artspacemaynard@gmail.com. For classes/workshops/individual instruction, learn about PrintWorks Studio.